Our Fantasy Premier League Gameweek 25 Daily player picks focus on three fixtures from Saturday. 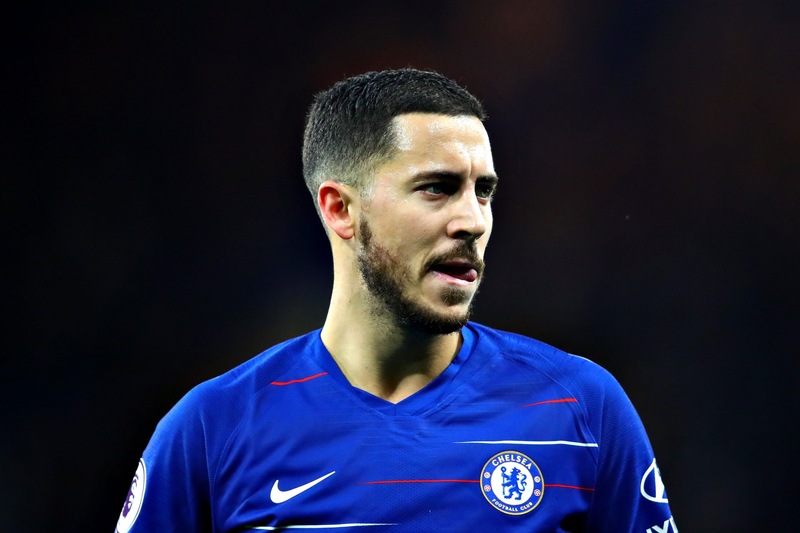 Whilst these selections are based on the Starting 11 game and scoring system, you may also find them useful and relevant for Fantasy Premier League Gameweek 25. You can challenge the community by downloading the FREE App on Android or iOS and create a team. 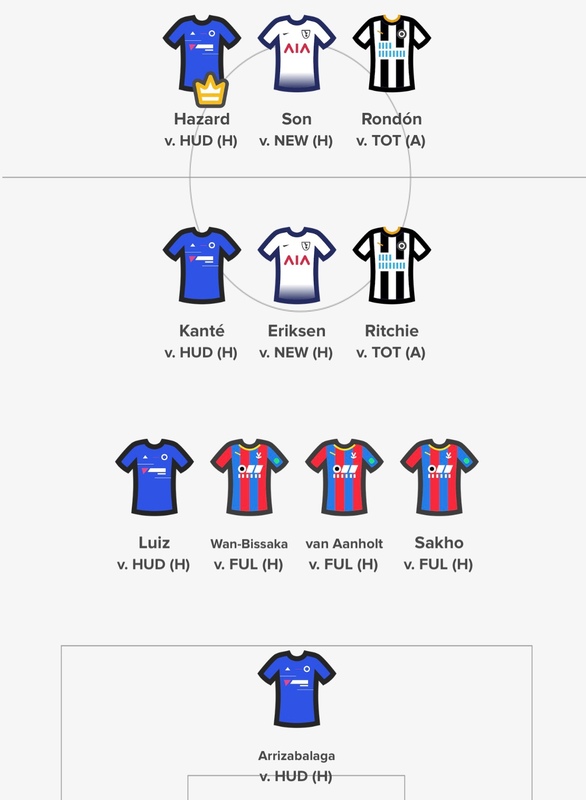 Check out their new mini league feature! Chelsea are the Gameweek 25 safe spine, as they face a Huddersfield side sitting bottom of the Premier League. Huddersfield have just one draw from their last 4 games, scoring 1 goal, conceding 6 and keeping one clean sheet. Hazard is the key man in the Chelsea attack, back in his preferred position on the left-wing. He has now hit double digits for both goals and assists for the season and got an assist as a substitute in the 3-0 win when these two sides met back on the opening weekend of the season. Kante managed a goal in that game too. Chelsea have managed 10 clean sheets this season, with Luiz finding a goal and two assists in that spell. Kepa has been integral to the Chelsea defence. Goals are expected when Newcastle arrive at Wembley in Gameweek 25. Newcastle will be high on confidence after beating Champions Manchester City this week, scoring 6 goals and conceding 5 in their last 4 games, with just one clean sheet. This fixture ended 2-1 in Spurs favour back in Gameweek 1. With a plethora of injuries hitting the Spurs attack, Son and Eriksen will need to be relied upon here. Son has 15 attacking returns this season, and was in red-hot form before departing for the Asian Cup. Eriksen is also having another consistent season and has his fair share of set piece responsibility. Rondon now has 6 goals and 3 assists this season, including attacking returns in his last two consecutive games. Ritchie hogs set piece responsibility for Newcastle, with a goal and an assist in his last 4 appearances. He got an assist in the reverse fixture too. Crystal Palace are back to full fitness in defence and have been reliable for keeping clean sheets this season, with 8 at the time of writing. In the reverse fixture, Crystal Palace won 1-0. Fulham are struggling, particularly on the road, scoring just 3 goals over the course of their last 7 away games. In the reverse fixture, it was the full backs that impressed, with both Wan-Bissaka and Van Aanholt contributing an assist. It’s their defensive actions that have the greatest contribution to their overall score in the Starting 11 format, with pass completion and tackles important. Starting 11 have contests available on Saturday and Sunday. Here’s the team we will be lining up with on Saturday. Hazard is given the captains armband, with the most enticing fixture of the weekend. 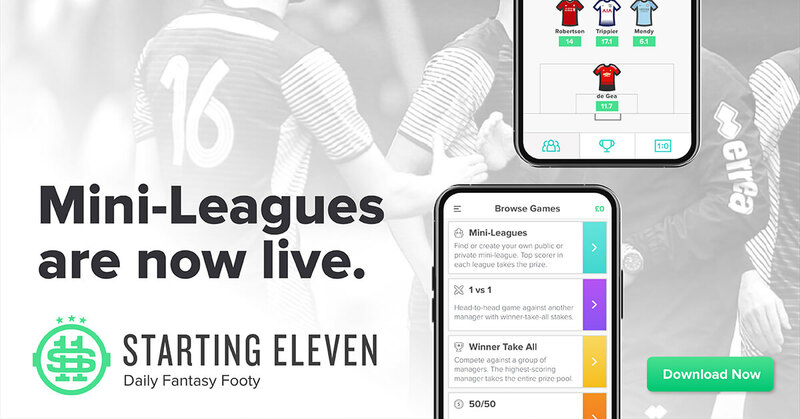 If you’re interested in playing Premier League Daily Fantasy Football with us and many other community members this weekend, please download the FREE Starting 11 app today by clicking the banner below.